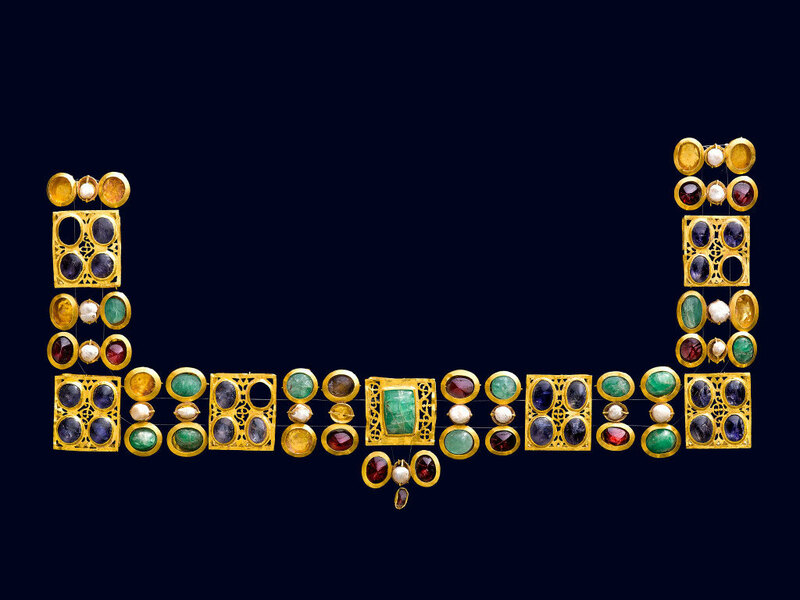 Necklace or Ornament for a Dress, 4th century. Byzantine. Museum of Cycladic Art, Athens. For over 1,000 years, Greece was part of the vast Byzantine Empire, established in 330 A.D. by the emperor Constantine, who moved the capital of the Roman Empire eastwards to a small town named Byzantium in modern-day Turkey. Renamed and transformed into Constantinople, Byzantium would later lend its name to an empire of splendor and power that endured for more than a millennium. Greek replaced Latin as the language of the empire, and Greece itself was home to important centers of theology, scholarship, and artistic production. Heaven and Earth explores the rich legacy of the Byzantine Empire through five main themes: the transition from the Classical to the Byzantine world, spiritual life, intellectual life, the pleasures of life, and crosscurrents between East and West during the final days of the empire in the 15th century. Heaven and Earth: Art of Byzantium from Greek Collections was organized by the Hellenic Ministry of Culture and Sports, Athens, with the collaboration of the Benaki Museum, Athens, and in association with the National Gallery of Art, Washington, DC, and the J. Paul Getty Museum in Los Angeles.